This website is dedicated to the great carnatic vocalist, Shri Madurai Mani Iyer. On this site you will find lots of information about Shri Mani Iyer including his biography with rare photos, articles by great musicians, tributes by rasikas and glimpses of his immortal music. Centenary Celebrations of Madurai Mani Iyer - Inauguration function, a report from THE HINDU published on 18/11/2011. Today is the 100th Birthday of Gaana Kalaadhara Shri Madurai Mani Iyer. (1912 to 1968). Who raptured(s) the sangeetha rasikas with his suswara madhura sangeetham! 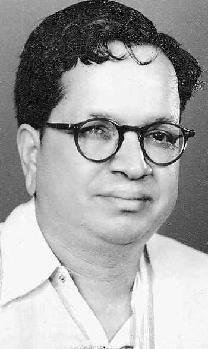 Who established the "Sukha bhaavam" and "Sowkhya bhaavam" aspect of Sangeetham with his roaring success in his outstanding career! Who resonated through his music that music has to be enjoyed by Self first! - be it practising, be it presenting or be it listening! Who proved to the world by his success that Melody is more important than Mathematics! Who by his hard work and meticulous practise, obtained purity and clarity in every aspect of sangeetham and established that one who is strong in basics and devotedly follows Sruthi bhakthi and laya bhakthi could transform his rasikas to a divine bliss while listening to him! Who had singularly popularised the Navagraha krithis of Dikshithar! Who contributed immensly to the cause of thamizh isai! Who introduced many apoorva ragas and krithis of the trinity! Who proved by his examplary life that music is not just a profession but when coupled with great virtues, could make a man immortal! Longlive his divine music! Longlive suswara sangeetham! New audio page launched. Listen to some more master pieces of Mani Iyer! Click here to go the audio page! RTP Kalyani..... etc..
Madurai Mani Iyer is a Nada Yogi. Despite his physical disability, he had some distinct qualities. He had the uncanny ability to convert any sound into music. He had that `yoga stage.' He had that `siddhi.' Nobody asked if he had sung this or that. But they all listened and accepted what he sang as music. Even as he sang that simple, he used to sing simple nava varnams. He would do it in his own simple but great style. Mani Iyer Birthday Special!! (25/10/2003), an interview with a true devotee of Mani Iyer. Please keep visiting this site for more updates. Lots of interesting articles and music on the way!